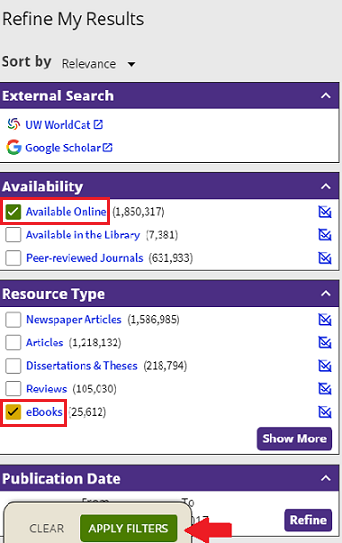 Locating e-books in the UW Libraries collection involves two steps: searching for material using relevant words and phrases, and refining the search results to display only e-book titles. 5.Select a title and click Online Access or Check for Online Access to view the eBook online. Tip: If you click on the eBook title instead, you can click on the link available in the View It section.